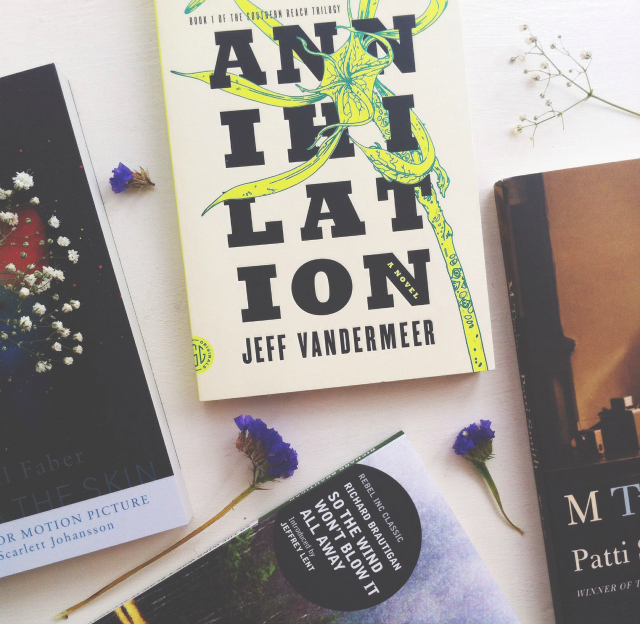 I took an impromptu blogging break during June, in order to dedicate more time to staring blankly into space, and so I didn't get round to sharing my book reviews from the month of May with you. In the interests of consistency, I am finally getting round to catching up now! I read some books that I absolutely fell head over heels in love with during May so I hope that there are quite a few reads that you can add to prospective wishlists and TBRs as a result of reading this post. Share the wealth as it were! M Train is a journey through eighteen 'stations'. It begins in the tiny Greenwich Village café where Smith goes every morning for black coffee, ruminates on the world as it is and the world as it was, and writes in her notebook. We then travel [...] across a landscape of creative aspirations and inspirations: from Frida Kahlo's Casa Azul in Mexico, to a meeting of an Arctic explorer's society in Berlin; from the ramshackle seaside bungalow in New York's Far Rockaway that Smith buys just before Hurricane Sandy hits, to the graves of Genet, Plath, Rimbaud and Mishima. M Train is a meditation on endings and beginnings: a poetic tour de force. Another stunning, masterfully written, memoir from Patti Smith. Smith transports us to Tangier, meetings with the CDC, café tables around the world and warm beds lit by detective shows, and further confirms just how much I would love to .travel the world with her. 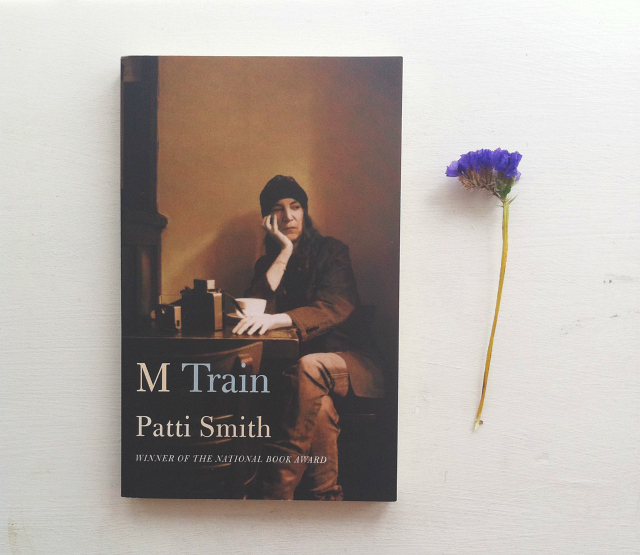 In M Train, Patti teaches us to live creatively, fall where our feet take us, be sentimental, how to lose things and let go, and how to document our lives. She is incredible and a huge inspiration to me. Read Just Kids and then read this. Another favourite. Area X has been cut off from the rest of the continent for decades [...] The first expedition returned with reports of a pristine, Edenic landscape; all the members of the second expedition committed suicide; the third expedition died in a hail of gunfire [...] the members of the eleventh expedition returned as shadows of their former selves [...] This is the twelfth expedition. Their group is made up of four women: an anthropologist; a surveyor; a psychologist, the de facto leader; and our narrator, a biologist. Their mission is to map the terrain and collect specimens; to record all their observations, scientific and otherwise, of their surroundings and of one another; and, above all, to avoid being contaminated by Area X itself. They arrive expecting the unexpected, and Area X delivers [...] but it's the surprises that came across the border with them, and the secrets the expedition members are keeping from one another, that change everything. When I began reading this, I was extremely hopeful. The levels on anticipation, and the tension, that I felt were on par with how I felt whilst reading California by Edan Lepucki and The Chaos Walking trilogy by Patrick Ness. Two books that I loved. However, Annihilation completely lost me. The promise of the plot wasn't enough to carry it and, for me, it needed much stronger narration and further expansion world-building wise. Maybe if it were 100 to 200 pages longer it would've had the chance to grow in the ways that I felt it needed to. However, on top of that, I felt that plot-wise it was, again, misjudged. It felt either too expository or too vague and I struggled to find a middle ground. There were some interesting ideas here but, for me, they were a bit muddled. This wasn't my bag. Onwards. Michel Faber introduces us to Isserley, a female driver who cruises the Scottish Highlands picking up hitchhikers [...] A grotesque and comical allegory, Under the Skin takes us on a heart-thumping ride through dangerous territory - our own moral instincts and the boundaries of compassion - to present a surreal representation of contemporary society run amok. I, somehow, managed to go into this novel knowing next to nothing about it and I think that's the best way to enjoy it. The little I say about it the better but I will say that I particularly enjoyed the way in which it looks at autonomy, humanity and sexual identity. 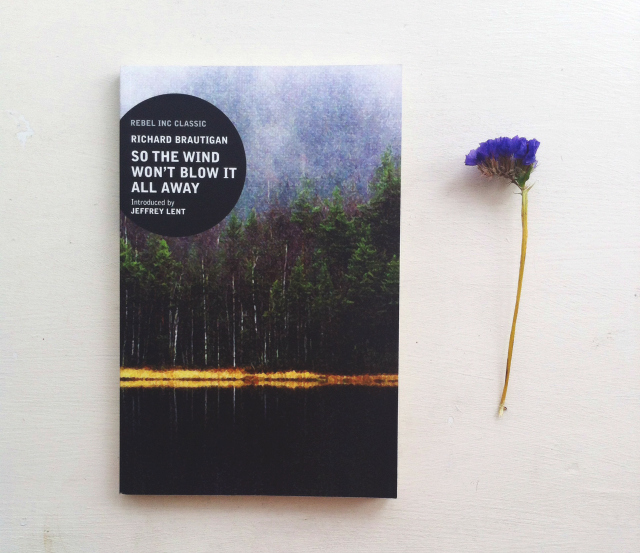 Faber writes with honesty in prose that, in parts, reads as if it were poetry. I could follow our protagonist, Isserley, into a hundred new stories. I have missed the world created in this book a hell of a lot since I put it down. 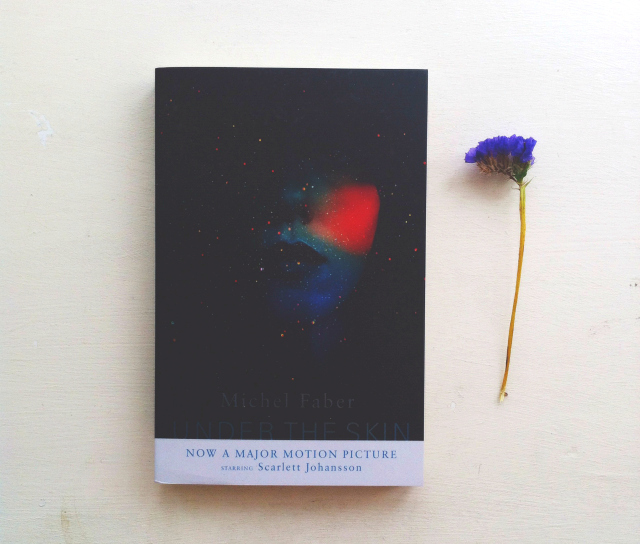 It is definitely going to be something that I re-read and I'm even more excited to read Faber's Book of Strange New Things now! If you've watched the film, don't worry about spoilers r:e the book because it is worlds apart plot-wise so you can enjoy them as separate entities. Through the eyes, ears and voice of Brautigan's youthful protagonist the reader is gently led into a small-town tale where the narrator accidentally shoots dead his best friends with a gun. The novel deals with the repercussions of this tragedy and its recurring theme of 'What if...' fuels anguish, regret and self-blame as well as some darkly comic passages of bittersweet romance and despair. This is a novella that I happened to stumble across whilst browsing my recommendations and I love that it made its way to me. The writing style, and quick-witted narrator, reminded me of Fear and Loathing in Las Vegas which is another book that I wholeheartedly enjoyed. Whilst it was a quick read, Brautigan's meditation on small town youth is entirely emotive and packed full of excellent turns of phrase and similes that both celebrate and condemn elements of childhood. Between the perfectly nuanced characterisation and the well timed dark humour I was hooked. I'll definitely be seeking out more Brautigan in the future. May was a pretty successful reading month - three 5 star reads within a couple of weeks reading is usually unheard of for me! What have you been reading of late? What are you hoping to read next? Let me know in the comments because I do scour them each month for recommendations! I'm glad you came across so many books you loved for this month, I'm especially interesting in Under the Skin because I've seen the film but I hope that won't spoil reading the book for me. Love Patti Smith, so I'jj have to give that one a go! 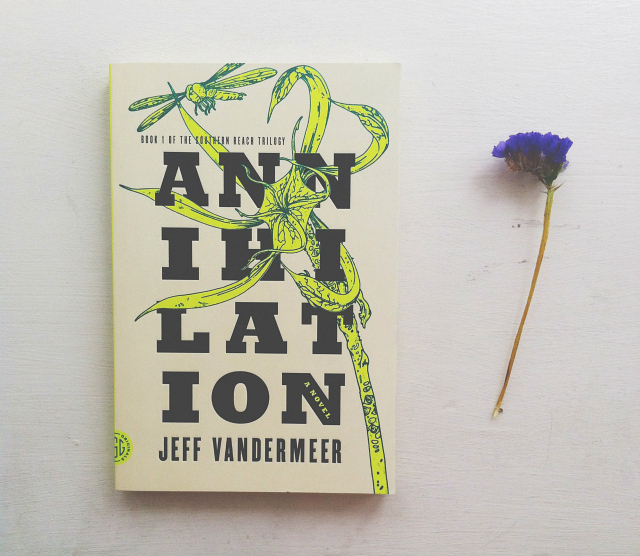 I found Annihilation such a random read - in some places I was really interested in what it was all about, and in others it just completely lost me! Seems like I had a really similar experience to you. I actually read the next two books of the trilogy in the hope it'd improve, but it actually got worse. Shame, I felt the premise had some potential! Under the Skin & So the Wind Won't Blow it All Away are definitely going on my reading list, particularly the latter - even the title sounds right up my street. I actually know nothing about Patti Smith at all - maybe I'll give that a go, too.